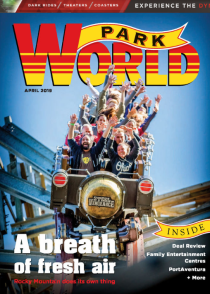 This coming Saturday, April 13, 2019, the Trinational Blue Day will take place in Germany’s largest amusement park for the first time. Visitors will be provided with easy-to-implement, but life-saving measures in a playful way and can immerse themselves in the work of rescue teams during exciting hands-on activities. DRK detection dogs will also demonstrate that they can locate missing persons at lightning speed. 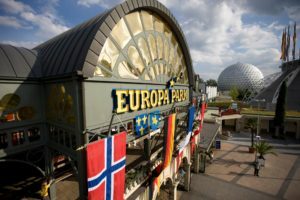 For a whole day, firefighters, paramedics and ambulance services from France, Switzerland and Germany as well as the German Armed Forces will bring security closer to different topics at Europa-Park. At the Luxemburg Platz, Europa-Park’s own rescue teams will present their skills including the deliberate extinguishing of a small fire pit, and make-up of wounds or fire hose hoses. In addition, the mountain rescue service of the German Red Cross will explain in practice how to secure yourself correctly when climbing. In the Portuguese section, the Bundeswehr will exhibit various blue light vehicles that can be explored in a playful way. Fire brigade vehicles from the tri-border area will be exhibited around the Swiss subject area and rescue dog teams of the DRK district organisations Emmendingen, Freiburg and Offenburg will be show on the meadow in the Austrian thematic area, demonstrating how they find missing persons. 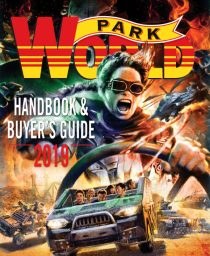 In total, more than 20 rescue vehicles from emergency services from France, Switzerland and Germany will be exhibited in Europa-Park. The event is included in the entrance fee.